Alaa Razak holds a Masters degree in Podiatric Surgery. She graduated with a BSc (Hons) in Podiatric Medicine from the University of East London, and also has a BSc in biological sciences. Alaa started her career in the NHS as a Podiatry assistant (whilst completing her studies) and then as a qualified state registered Podiatrist. She was based mainly in Finchley Memorial Hospital, developing clinical skills in routine podiatry clinics and spent 6 months manufacturing orthotics alongside a specialist biomechanics Podiatrist. It is here that Alaa began to specialise in musculoskeletal podiatry; in particular lower limb acupuncture, foot and ankle manipulation and mobilisation, and orthotics for bunion management and prevention. Since qualifying, Alaa has worked as a podiatrist in private practice for over 10 years, primarily in Central London. 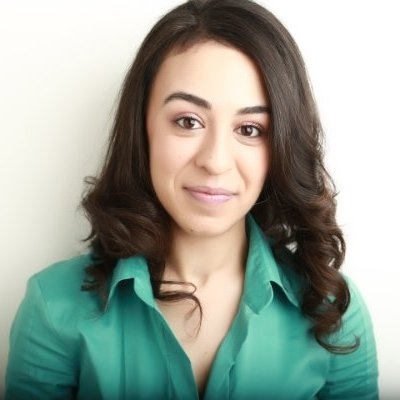 She started her private practice career as the Senior Podiatrist at Harrods, and is now based in The Smart Medical group, where Alaa founded Kensington Podiatry. Her practice is built around her specialities, in particular biomechanical gait assessments and deep understanding of how our feet affect our everyday lives. She believes in identifying and treating the underlying pathologies to provide a permanent solution, rather than treating the secondary symptoms. Alaa has worked in foot and ankle surgery in an NHS hospital surgery theatre unit. She loves to spend her time in the surgical theatre and feels it is a fantastic way to keep abreast of medical advances, which she can bring into practice. In her free time, Alaa gives regular lectures to other medical and health care professionals. She has also published research in the Podiatric Medical field.